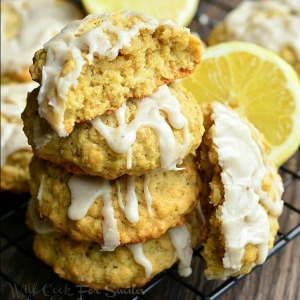 Amazing, soft oatmeal cookies made with fresh lemon zest for a nice citrus burst by Will Cook for Smiles. 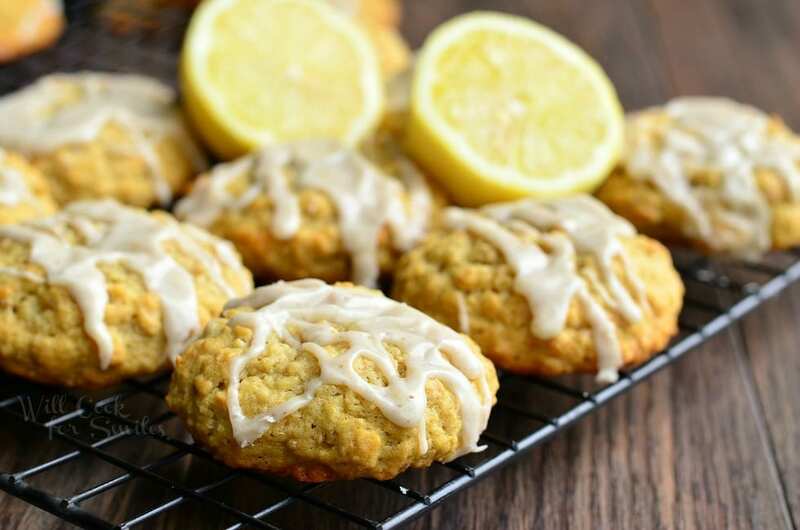 These cookies are also topped with lemon vanilla glaze that’s made with lemon zest and vanilla bean. We actually had a low-key day. Didn’t go out much, just stayed in and baked cookies…in our pajamas! I love making cookies in my pajamas because it’s so much better to eat them with no tight waistband in your way. Little man and I baked these awesome cookies early in the morning and could hardly wait to dig in. (They smelled SO good!) In fact, we didn’t wait to dig in at all. As soon as they were frosted, we got some milk and polished off a few. Warm cookies are the best, don’t you agree? My little guy’s (and big guy’s) favorite cookies are actually oatmeal cookies, even though he doesn’t discriminate too much when it comes to cookies. 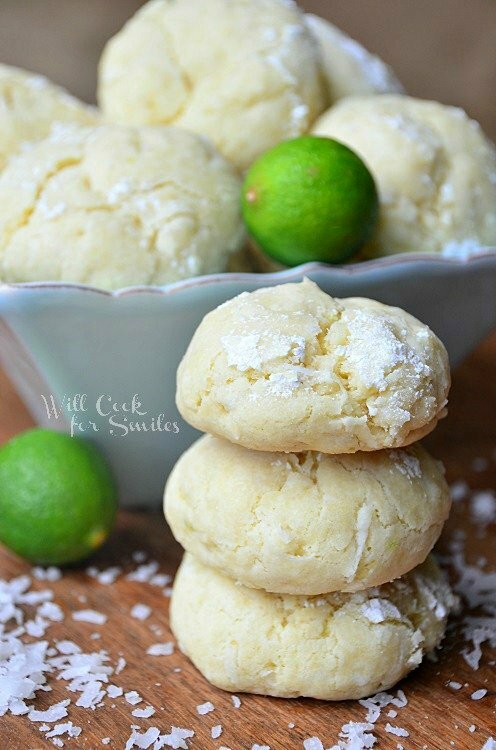 I decided to make their favorite cookies but put a spring/citrus spin on them. 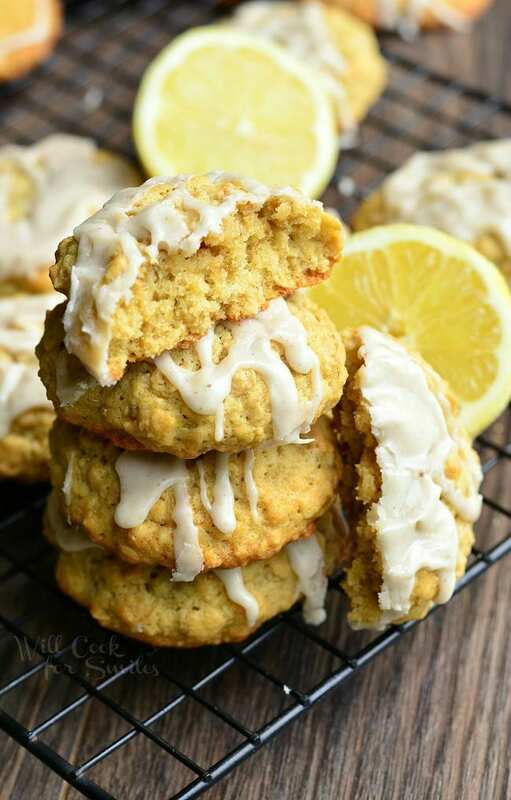 These cookies turned out amazing with a citrus touch and vanilla to enhance all the flavors. 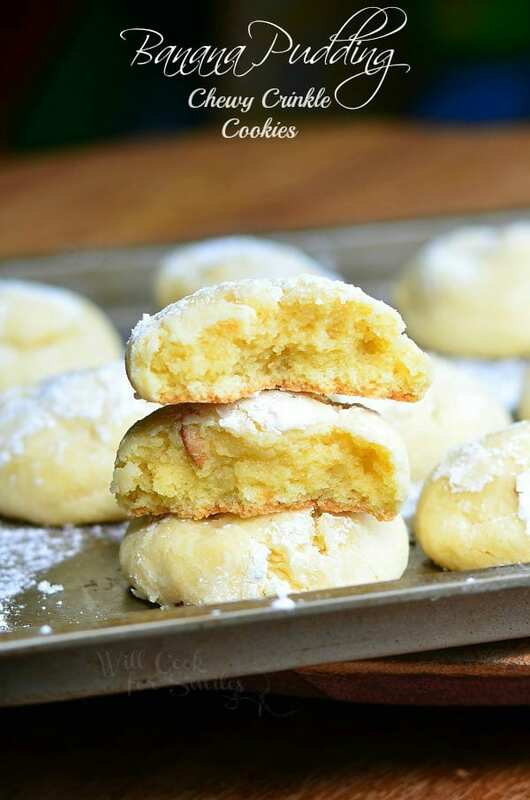 Glaze puts these cookies over the top and right at the top of my “favorite cookies” list! I hope you’ll like them too. Preheat oven to 350 and line a cookie baking sheet with parchment paper. Add vanilla extract, flour, baking soda and salt. Mix it in on low speed just until incorporated. Add oats, while still on low speed, just until incorporated. Add lemon zest and mix until evenly mixed throughout. Scoop cookie dough and roll about an inch sized balls. Place cookies on parchment paper, about two inches apart. Press very lightly to flatten cookies just a little bit. Bake for 9-11 minutes. While cookies are baking, prepare the glaze. Scrape vanilla bean seeds into heavy cream and mix well. Add powder sugar to a shallow bowl and add lemon zest. Whisk in heavy cream mixture slowly, until all smooth. 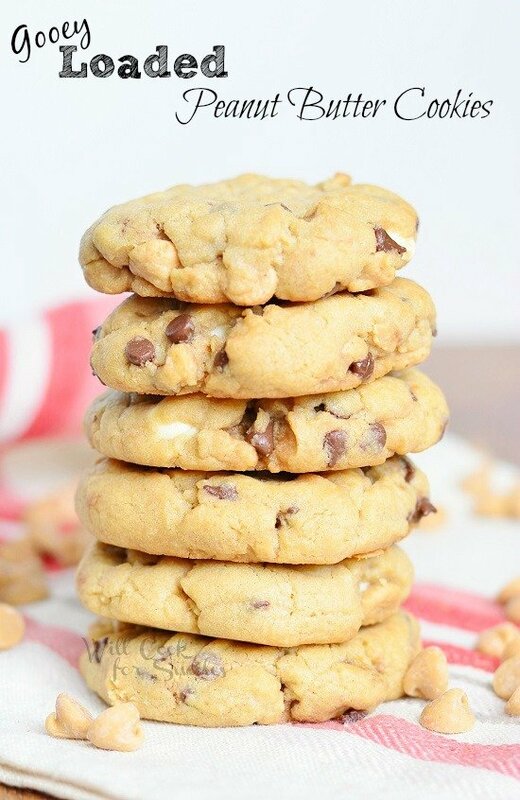 Drizzle warm cookies. 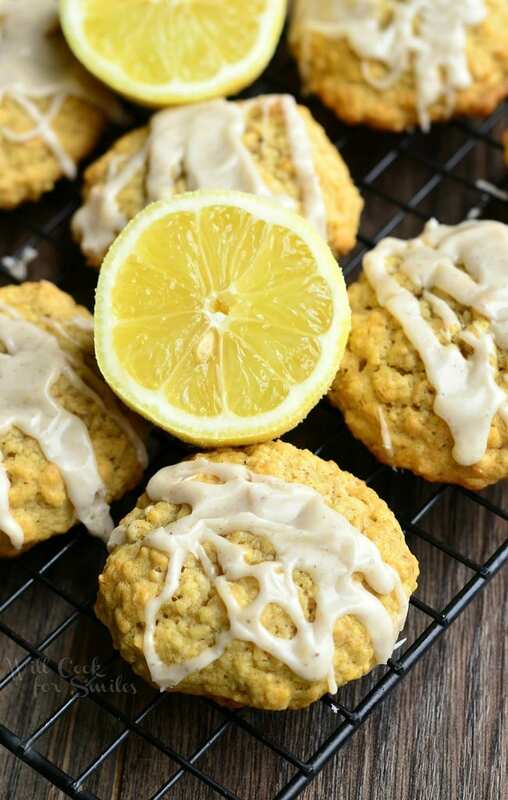 I feel like everyone is posting an oatmeal cookie today and I feel like I need to try them all! I love oatmeal… So comforting and yummy!